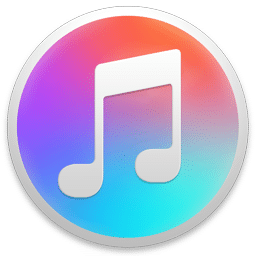 Apple iTunes is a media player, media library and mobile device management program to play, download, and organize digital audio and video. iTunes is the easiest way to organize and enjoy the music, movies, TV shows, apps, and books you already have. Moreover you can shop for the ones you want to get. You can even listen to free streaming radio stations with iTunes Radio. iTunes Store component is also available on the iPod Touch, iPhone, and iPad. You’ll find more than 37 million high-quality songs. Thousands of movies to buy or rent. Your favorite TV shows. Also hundreds of thousands of apps, games, and podcasts. Buy on any device and your songs are instantly accessible in your iTunes library on your Mac or PC. Or use iTunes Radio to create and play streaming radio stations based on your favorite songs, artists, or genres. Give as gift the apps, games, music, and more. Send friends and family an iTunes Gift Card or iTunes Gift from your iOS device or computer. You can buy gift cards in a range of denominations, and recipients can choose whatever they want from the iTunes Store, 2 App Store, iBooks Store, and Mac App Store. New content arrives all the time. Here you can see what’s new this week and browse the top 100 songs, albums, TV shows, movies, books, apps, and more. iCloud makes this app even better. Because your music, movies, TV shows, apps, books, and more live not just on your computer, but on all your other devices, too. Even music you haven’t purchased from iTunes can be stored in and played from iCloud. With iTunes Match, all your music can be stored in iCloud. Even songs you’ve imported from CDs. You can access your music from all your devices and listen to your entire library wherever you are. Subscribe to iTunes Match on your Mac, PC, or iOS device and listen to music ad-free on iTunes Radio for just $24.99 per year. It’s easy to keep your iPod touch, iPod classic, iPod nano, and iPod shuffle ready to rock. Open the app, click Settings for your iPod, and choose a category like music or movies to see a list of what’s already there. To add something, click Add To, and your entire iTunes library appears next to the list of what’s on your iPod. Drag and drop. And you’re done. Apple TV lets you choose from thousands of current and classic movies and TV shows – many in stunning 1080p HD – on your widescreen TV. You can also play your music collection, view your photos, listen to podcasts, stream iTunes Radio, and purchase songs right from the big screen. iTunes Radio has streaming radio stations you’ll love from day one, from the best selection of songs online. It lets you easily create stations that evolve based on the music you play or download. And you can hear them all on your iPhone, iPad, iPod touch, Mac, PC, and Apple TV. For free. Anybody know where the change log is?